European sales of the EcoSport, shown, more than tripled last year. BUCHAREST -- Ford Motor will transfer production of its popular EcoSport SUV for European markets to Romania from India. Ford said it will invest up to 200 million euros ($224 million) in its Craiova factory in southern Romania to build the subcompact SUV in the plant starting late next year. Ford's factory in Chennai, India, will continue to build the EcoSport for domestic Indian sales and for many export markets, the company said today in a statement. Ford of Europe CEO Jim Farley said in the statement that rising European sales of the SUV meant that "it's the right time to move EcoSport production to Europe." Craiova will become the only production source for the EcoSports sold in Europe except Russia, Farley told reporters on a visit to the plant today. He said that the company expects to keep its current staff levels in Romania. SUVs are the fastest-growing segment in the European new vehicle market, up 23 percent last year compared with an overall industry sales growth of 10 percent, Ford said. The small SUV segment in which the EcoSport competes rose 44 percent in 2015. Ford expects the small SUV segment to grow by 35 percent to about 1.5 million vehicles a year by 2017. Ford took over the Craiova factory, a former Daewoo plant, in 2008. The factory builds the B-Max subcompact minivan and has been underused as B-Max sales have slowed. Ford said it will continue to seek opportunities to build further products in Craiova so that it can fully utilize the facility’s capacity. Reports last month said Ford may build its latest Ka minicar in Craiova. 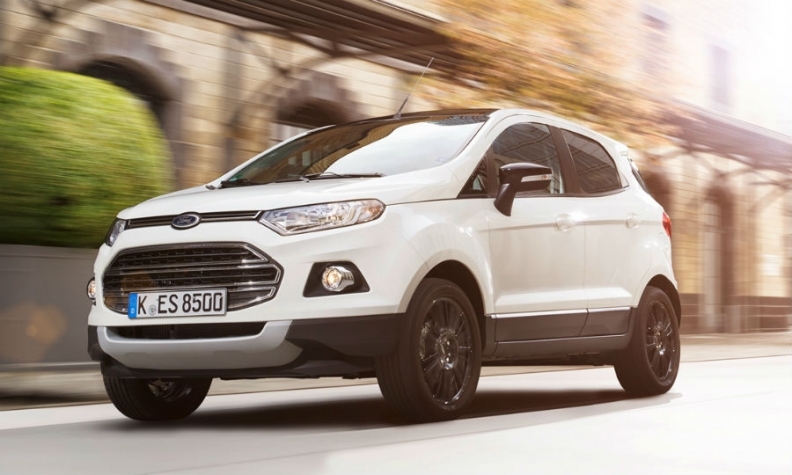 Sales of the EcoSport in Europe more than tripled to 39,846 last year, according to JATO Dynamics market researchers while the B-Max's volume fell by 14 percent to 46,315.